Build your own miniature electric guitar with the smallest building blocks in the world! These miniature building blocks connect securely to create an extremely detailed mini-guitar that measures 4 3/4-inches long. 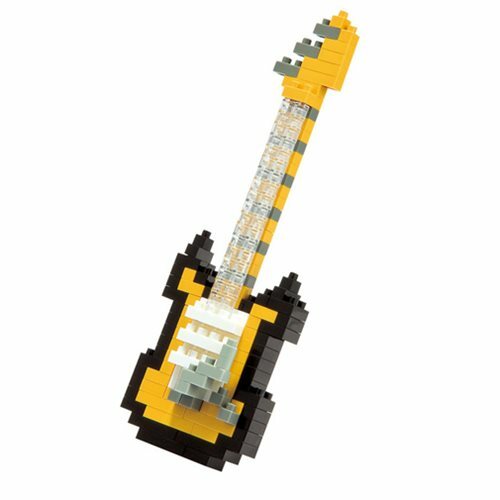 The finished Gold Electric Guitar Nanoblock Constructible Figure will fit perfectly in the palm of your hand! The moderately challenging building set for beginner building block fans features over 160 micro building blocks, allowing you to build in greater detail. It's from the nanoblock Musical Instruments series. Collect them all! Each sold separately.